If you plan to select a lot of options for the 2010 Audi A3 and don’t mind moving to a slightly larger vehicle, you might want to consider the 2010 Audi A4 Avant as well. A fuel-stingy new TDI engine and spruced-up appearance make the 2010 Audi A3 a very fuel-efficient, fun-to-drive, and practical compact choice. Although the 2010 Audi A3 is based on Volkswagen Rabbit/Golf underpinnings, the A3 is bound to attract performance-minded shoppers, with a sleek fastback-wagon profile, plenty of aggressive styling cues, and big, styling wheel designs, in addition to the large Audi grille. Available all-wheel drive remains a major attraction for those in snowy climes. After a modest restyle for 2009, which included new aluminum-look trim and revamped air vents and audio controls, along with new exterior mirrors, door handles, and wheel designs, the Audi A3 returns for 2010 with a few more appearance changes. The more aggressive look of last year"s S line package, including additional detailing and cues, is now standard across the model line. Overall, the 2010 Audi A3 has a now-aging design, but it's been kept current with some attention to the details. The base engine for the 2010 Audi A3 remains the 200-hp 2.0-liter turbo-4; newly available is a 140-horsepower, 2.0-liter clean-diesel four-cylinder engine, in the A3 2.0 TDI model. Offered with either engine is a six-speed manual or dual-clutch transmission. With either engine, performance is satisfying, and models with the S tronic get steering-wheel paddle-shifters. Between the two, the TDI engine is narrowly the favorite of TheCarConnection.com"s editors, because its engine cranks out heaps of torque, giving it the response of a torquey big-displacement V-6 off the line or in top gear. With either engine, fuel economy is better than average, but it's downright excellent with the TDI; EPA ratings are 30 mpg city, 42 highway with S tronic, and TheCarConnection.com has seen more than 45 mpg in long-haul interstate cruising. An adaptive-damper system that uses magnetic fluid to change shock stiffness is available on the A3. Drivers can flip from Sport to Normal. The 2010 Audi A3 driving experience is a joy in most respects: it's refined, direct, and light in steering feel. It can ride stiffly, and its electric steering doesn't wind and unwind like a hydraulic setup would. The A3"s turning circle is tightened for improved maneuverability on the 2010 model. The Audi A3 has a rather small interior, but it's well laid-out and finely crafted. The leather front seats could use more side bolstering, and left our backs aching after long rides. Even in its size class, rear-seat accommodations are barely acceptable. Two adults will fit, if you ask the front passengers to give up a bit of their leg room. The backseats are 60/40-split and fold forward. Cargo space is ample. The 2010 Audi A3 has not yet been rated by the federal government, it receives top "good" ratings from the IIHS in all occupant protection categories. Standard equipment on the 2010 Audi A3 is quite good, including fog lamps, automatic climate control, keyless entry, leather upholstery, and a 140-watt, 10-speaker sound system. However, several tech features that are increasingly included on much more affordable cars-like a Bluetooth hands-free interface-remain optional on the A3. The options list is very long, and you can quickly drive the price toward $40,000 if you don't watch it. Highlights include Bluetooth, Bose premium sound, LED running lamps and adaptive headlights, a navigation system, and an iPod integration kit. The 2010 Audi A3 is a very good-looking car, though Audi could do better inside by some accounts. The Audi A3 got a light makeover inside and out last year; for 2010, the A3 receives another upgrade, with the previous S-line option package now standard and bringing a roof spoiler, reskinned bumpers, and brushed-aluminum trim. While the A3 is sort of a hatchback and sort of a wagon, its proportions are almost universally appealing. Even better, the interior of the A3 is one of Audi's best efforts. It's simple, flawless, and well crafted. Last year, the A3 got a number of cosmetic changes. Car and Driver notes the instruments now have a "more generic white" lighting and have new buttons with "a more rounded-off look." Edmunds points out a new "sculpted chin spoiler" and "LED daytime running lights." Overall, reviewers love the way the 2010 Audi A3 looks. Kelley Blue Book likes its "purposeful, sporty look," though it means "less interior cargo space." Audi's big grille "dominates the front end," says Cars.com. Inside, Edmunds says the A3 has "few luxury touches" but calls it "classically German." Cars.com says that, especially when it's fitted with aluminum trim, the A3 "looks cheap." Nearly everyone agrees that the 2010 Audi A3 is a very enjoyable car to drive; whether with the turbocharged 2.0T gasoline engine or the TDI turbo-diesel, the A3 is surprisingly good on gas. The A3 gets good marks for performance. ConsumerGuide says "braking is strong," while Kelley Blue Book reports "lightning-fast gear changes." Edmunds tested the turbo-4 car and "reached 60 mph from a standstill in only 7.2 seconds." New this year to the A3 is a 2.0-liter turbodiesel (TDI) four-cylinder engine, producing 140 horsepower and 236 pound-feet of torque. It's the same engine that VW already offers on the Jetta, several reviewers point out. Autoblog cites the engine"s plentiful torque and calls the TDI "more than adequate for pretty much any driving." MotorWeek track-tests the A3 TDI and times its 0-60 mph dash at just 8.7 seconds. They report 42.7 mpg overall and add, "There is prodigious torque and the TDI feels faster then times indicate." The dual-clutch gearbox is an editors' favorite. It cracks off quick shifts either in Drive or via the steering-wheel paddle-shifters. 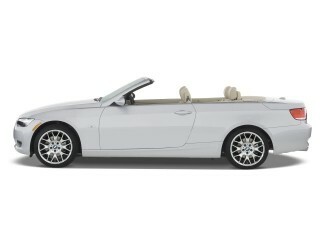 Autoblog notes that "tapping the paddles on the back of the steering wheel, meanwhile, induces quick and smooth shifts." With either engine it's a great choice. Several reviewers who drive an A3 with the available magnetic suspension end up advocating the option. Car and Driver was "duly impressed by the Audi Magnetic Ride" shocks. As TheCarConnection.com"s own editors note, the Audi A3"s steering feel is a little too light and doesn't wind or unwind in the way that's expected from performance-oriented cars. Cars.com says "steering is on the light side." The 2010 Audi A3 has excellent interior appointments and is a big step up in refinement from budget hatches, though it’s not quite up to luxury-car standards. The 2010 Audi A3 doesn’t let down Audi's reputation for excellence; the A3 has an attractive, premium-feel interior and levels of refinement that are better than most other small cars. However, there are a few issues to note. Several reviewers rave about the materials and trim in the Audi A3. The A3 is "decidedly upscale," according to Kelley Blue Book. Edmunds likes its "straightforward buttons and controls." Cars.com finds the A3's "excellent seats deliver good support," but points out that "some drivers might find their right knee resting against the center console." ConsumerGuide claims front seats are "all-day comfortable" and "headroom and legroom are plentiful," yet the reviewers also mention that "the cushion is nicely padded but not long enough for good thigh support." TheCarConnection.com warns that some drivers might not find enough back or side support in the front seat for long trips, and backseat space can be tight for adult occupants if the front seats are near the back of their travel. Kelley Blue Book reminds drivers that the A3 is a compact, and "some folks might be disappointed by the size of the rear cargo area." The interior makes good use of space, however, with Car and Driver calling the A3 Audi "roomy." Wind and road noise in the 2010 Audi A3 might not be up to the standards of luxury-car shoppers. ConsumerGuide notices "some coarse-surface tire thrum on base models," but "wind rush is low at highway speeds," and "both engines sound classy while accelerating." With good marks in occupant protection and all the expected equipment, safety is one reason to move the 2010 Audi A3 toward the top of the list. With a solid roster of safety equipment and only positive crash-test results, the 2010 Audi A3 promises to be among the safest compact hatchbacks or wagons. According to the Insurance Institute for Highway Safety (IIHS), the 2010 Audi A3 achieves top "good" results in frontal offset, side, and rear impact tests. The IIHS also calls the Audi A3 a Top Safety Pick for 2009 because of its top crash-test performance and standard electronic stability control. Kelley Blue Book reports an "electronic stability program (ESP), front seats with active head restraints, remote keyless locking, front and side airbags for driver and front passenger and the Sideguard airbag system" are part of the long list of standard safety features. 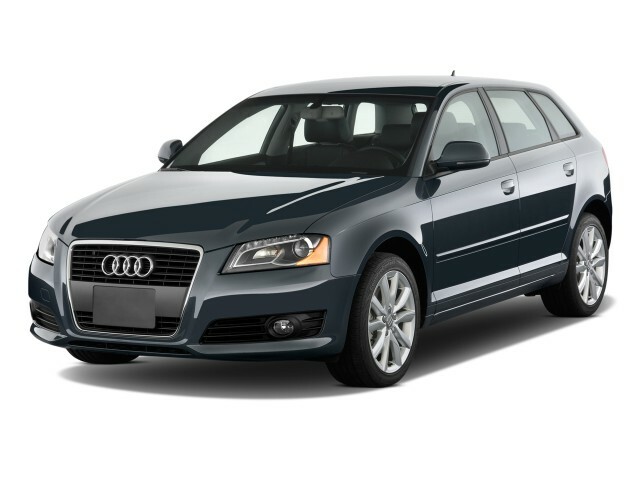 The 2010 Audi A3 comes quite well-equipped, with plenty of opportunities for customization and optional packages. But beware, prices can quickly veer toward $40,000, and Bluetooth, which is now desired by pretty much every buyer in the A3"s target demographic, is optional. Other major options include a navigation system, LED running lamps, and adaptive xenon headlamps. 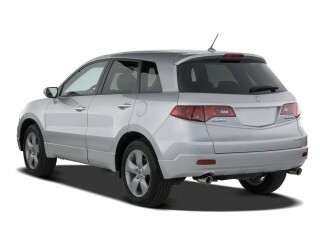 Cars.com lists "dual-exhaust outlets" and "alloy wheels" with "17-inch tires" as attractive standard features. Kelley Blue Book tracks singular additions, such as "SIRIUS Satellite Radio, 18-inch alloy wheels," and "Bose audio." For 2010, all the contents of what was formerly the S-line package are now standard on the A3. That includes, according to Edmunds, a "sport-tuned suspension, foglamps, sport seats with leather upholstery, aluminum interior trim, unique front and rear fascias and a roof spoiler." Edmunds says of the A3's interior "switches and dials on the center console are within easy reach and simple to operate, but we were not fans of the driver-side door controls." Cars.com likes the A3 Audi's standard "dual-zone automatic climate control" and "'OpenSky' glass sunroof" that "includes separate blinds to keep the interior from overheating and to guard against the sun's glare." Kelley Blue Book notes the 140-watt stereo with 10 speakers and pre-wired satellite radio preparation for Sirius Satellite Radio.